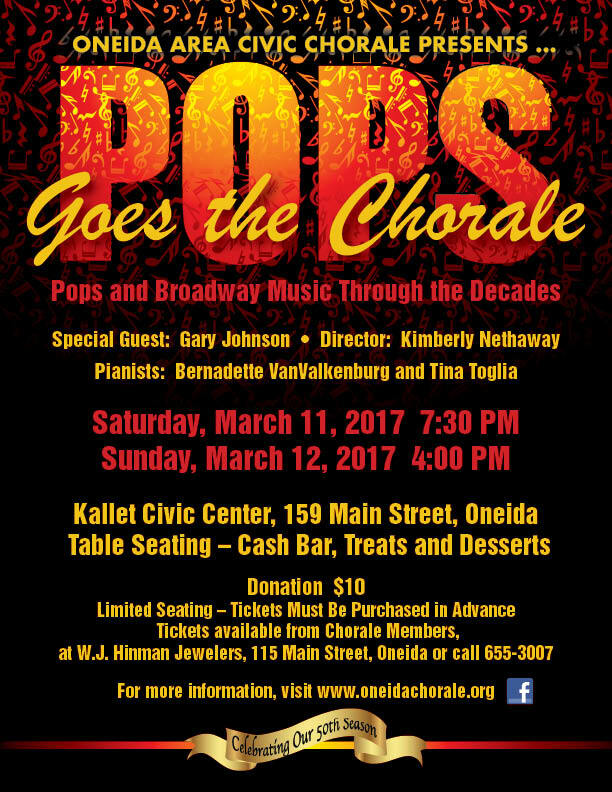 Tickets for "Pops Goes the Chorale", Saturday, March 11 at 7:30 PM and Sunday,March 12 at 4:00 PM are $10. Both concerts are at the Kallet Civic Center, 159 Main Street, Oneida. Tickets must be purchased in advance from Chorale members, at W.J. Hinman Jewelers, Main St., Oneida, and by calling 315-655-3007.